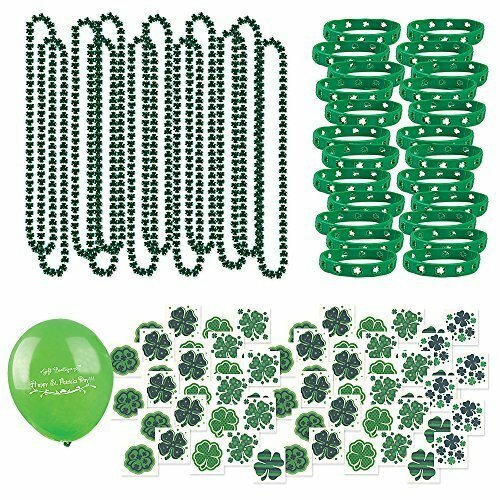 Pick up two dozen of these cute mixed mini rubber ducks that are all dressed up for St. Patrick's Day for your holiday festivities! 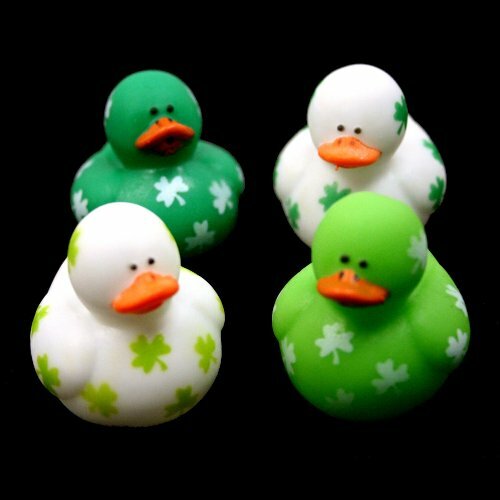 The mini ducks are different shades of green or white with a contrasting shamrock pattern. The Irish rubber duckies aren't meant to float upright, but they do have small holes inside their beaks -- perfect for squirting water! These little guys measure just 1.5 inches tall, so they're tiny! 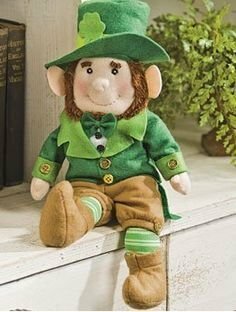 They are perfect gifts for little ones or fun novelty trinkets or decorations for your St. Paddy's Day party! Keep your beverages nice and frosty cold this St. Patrick's Day with these themed novelty drink koozies. Insulated wraps for beer cans or bottles keep your hands warm and dry while your drink stays perfectly cold.... Show Me the Koozies!